Why should the scrumptious goods at your retail shop not reach places and bring you more cash? Why not set your sales territory range wider than just a few miles? An online presence for your bakery is a must, not only to build a brand, but also to be ‘found out’ by clients. 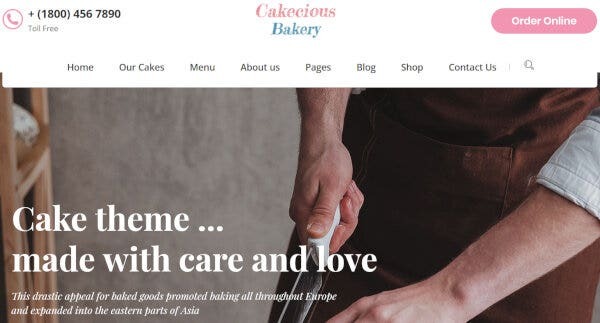 Having a great bakery WordPress theme website that makes customers drool at the first look is something that would bring in more footfall, more sales, and more brand equity. 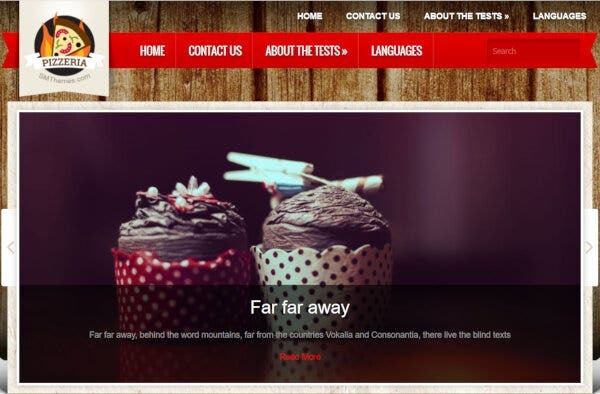 Try out these 20+ bakery WordPress themes. 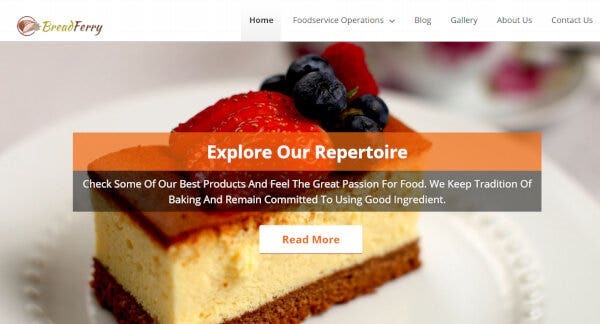 Built on Unyson Framework, Invisio is a WordPress theme for cake bakery business websites, ice cream shops, and restaurants. This theme comes with Theme Customizer, clean grid, and classical post design element, plus a smart responsive design. This theme has interactive map pages for easy location of your cake shop. 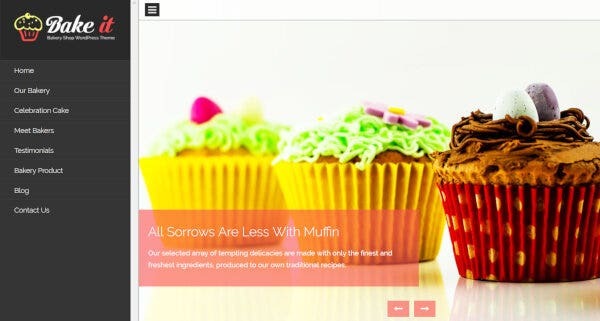 This WordPress theme is well documented and is perfect for all kinds of bakeries, big or small. 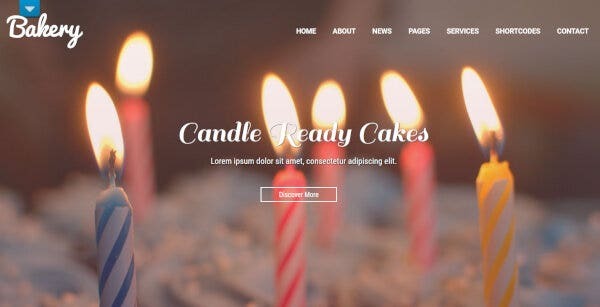 Yamiz is one such bakery WordPress theme that is packed with features like Elementor Page Builder, JetElements Plugin, Social Integration Options, Design Presets, and Social media sharing options. It has been coded with HTML and is properly documented as well. The theme is mobile-friendly and works well on all devices. 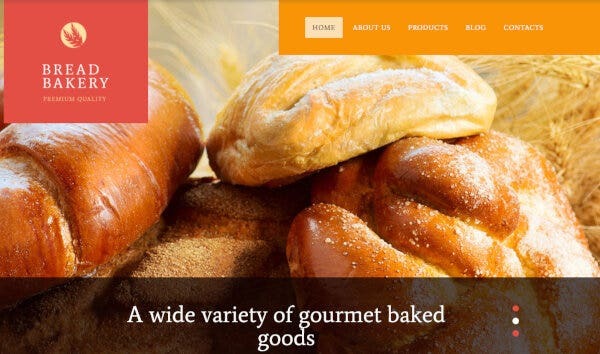 The bright colors and functionalities help you to easily customize your bakery WordPress website. 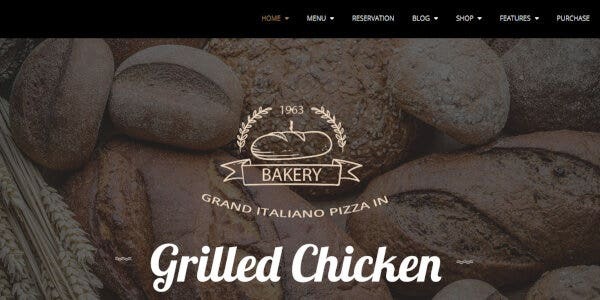 With a dynamic content loader Pizzeria is one of the best bakery WordPress themes you can get. It has a responsive web design, translation options, SEO optimization, custom menus, custom widgets, and is compatible with several versions of WordPress. It also comes with social sharing options, contacts page and is WooCommerce supported. 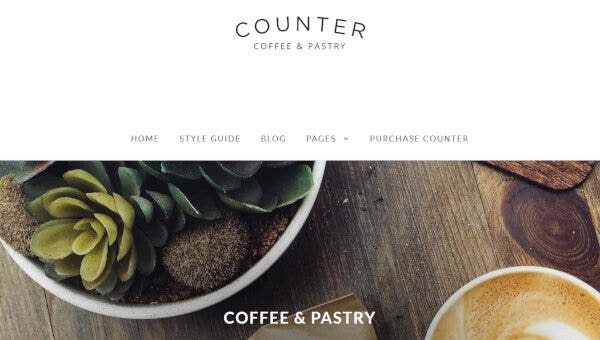 Showcase your best bread and pastries with this WordPress theme backed with customizable image logos and multiple widgets which are best for any coffee shop, bakery shop, barbers and other small businesses. Counter comes with 24 Panels for page displays and blog layouts with different headings and color background that will brighten up your bakery space. There are three custom page templates. 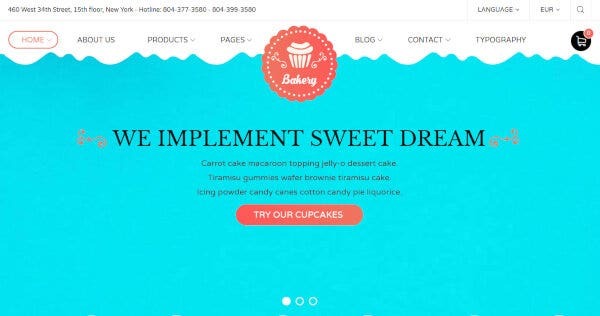 Bake-a-cake is a baker’s dream website; it comes with feature rich options like Multi-lingual support, Background Options, Google Web Fonts, and social media integration. With numerous multifunctional WordPress theme plugins like JetMenu, JetElements, and free images this WordPress theme is a responsive design making it extremely user-friendly. The theme is further based on Cherry Framework and has 4 different blog layouts with 4 header and 3 footer designs. This WordPress theme is a delightful way to showcase clipping of your best bread and baked goods videos. 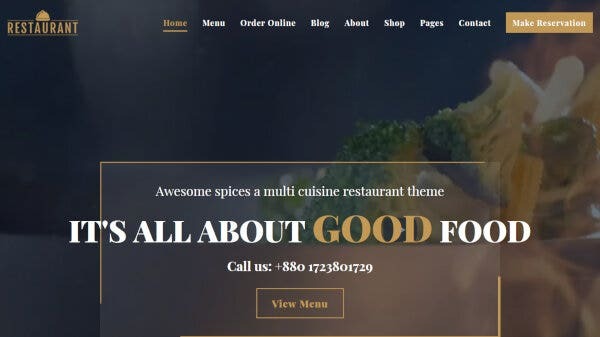 With a great admin panel, premium and responsive design, this WordPress theme has several other features like WooCommerce integration WordPress themes, Parallax effect for fancy bakery website along with social media interaction through blogs, newsletters, Twitter, Facebook, and Instagram. It has more than 671 Google fonts and free lifetime support. 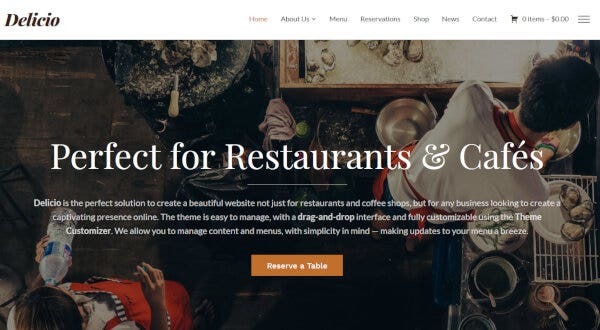 Pastries is a fully editable WordPress theme for bakery, coffee shops, bistro, restaurant, food and drink related shops, and cafes. It is a WPML Ready theme and supports all mobile devices. The theme is highly responsive and is also Search Engine Optimized. 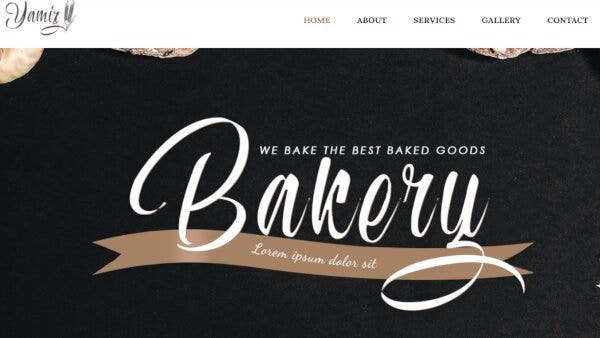 With custom Google Web Fonts and design templates, the theme is perfect for any bakery shop. It is also based on the Bootstrap framework which makes it highly customizable. Tinka comes with a 100% responsive WordPress theme design and blog functionality. It also has other features like social media integration, translation-ready widget, Photoshop PSD for themes and Logo. The theme has customizable color schemes and you can also preview the different colors. The theme is a one-page design and you can showcase your cakes and contact info for booking orders. 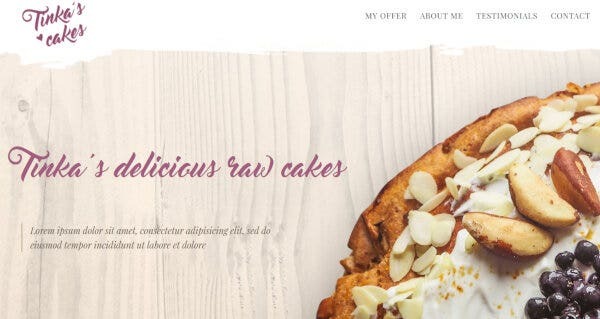 This bakery template is the perfect online wow-factor for bakery businesses with its multi-device compatible WP theme and one-click installation feature. It has forms powered by CF7 plugin, visual composer, intelligent theme options, multiple page layouts, well-documented code and is translation ready. It also has beautiful choices for header styles and page layouts. With an awesome unique look, this WordPress theme with drag and drop and multi-browser compatibility is a great choice. It has Valid CSS3 and HTML5 with an ultra responsive layout. This theme is also compatible with Bootstrap, working PHP contact form, Google Location map, parallax background and is fully customizable. 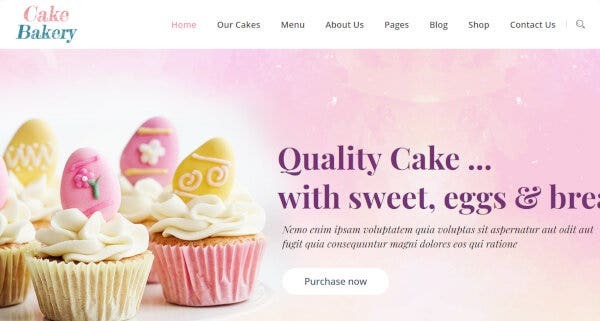 Cupcake shop WordPress theme is one that supports YouTube videos with E-commerce functionality WP theme that can be turned on or off and replaced with WooCommerce. It comes ready with online documentation, 24/7 support, unlimited layout, and multiple theme options. Perfect for new bakers and those hoping to renovate their website, this fully responsive design, is Retina Ready, Translation Ready, has Visual Composer, AJAX search and shop filters. 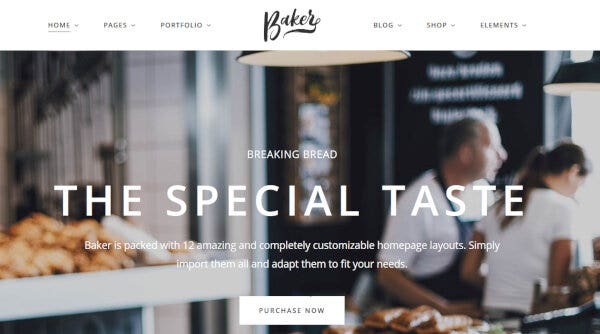 Baker is a WordPress theme to showcase food items with an amazing chic layout having multiple styles. It comes with cross-browser compatibility, visual composer, WP Bakery Page Builder, PHP files, JSS files, CSS files, and extremely responsive layout. Here WooCommerce provides an online store and has blog functionality. 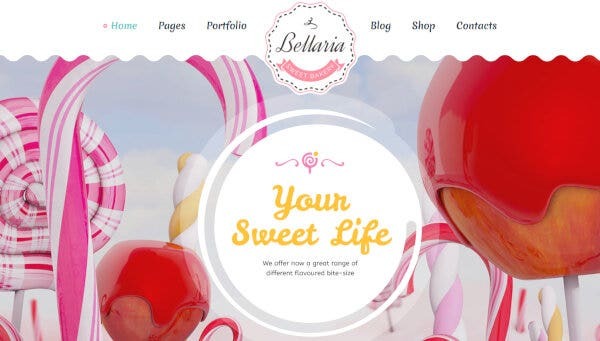 Bellaria is a beautiful high-resolution theme with cross-browser compatibility. With extremely responsive design and has a visual composer, WooCommerce and is WPML Ready. It has 4+ columns with PHP files, JSS files, HTML files and CSS files. This WordPress theme is multi-browser compatible with multiple layouts and page types. 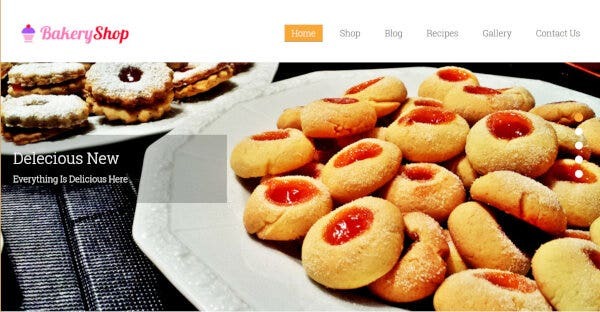 This Bakery WordPress theme is perfect for an online start-up bakery. It is very simple to use with blog functionality and is coded with HTML5 and CSS3. This theme is responsive and is cross-browser and cross-device compatible with smooth user experience. For online sale services, it is WooCommerce ready with widgetized header and footer. Built with clean coding this WordPress theme comes with a burn slider effect. This also comes with WooCommerce integration including Ajax Cart and Carousel Slider for a smooth shopping experience. It is very well received for its video embedding option and blog functionality. This is WPML compatible and SEO optimization. 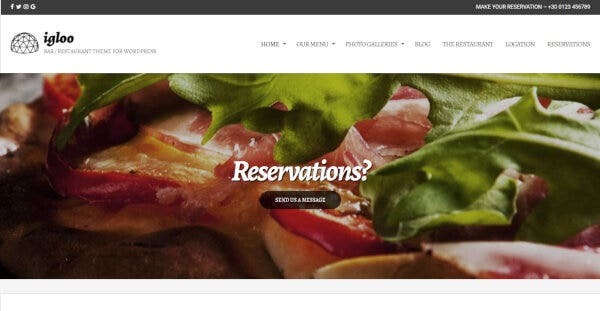 What makes Delicio perfect for bakery style restaurant WP theme and cafés special is its full-width display. It is great for showcasing delicious images and is 100% responsive. This WordPress theme is Retina ready with WooCommerce support and visual composer. It is also user-friendly with easy navigation, reservation options, and drag & drop page builder. 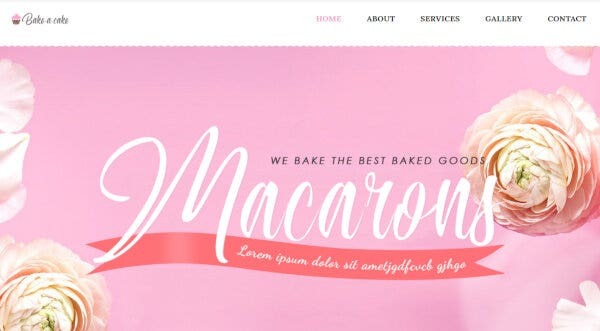 This HTML and CSS enabled WordPress theme is perfect for bakery business from bread to wedding cakes. It comes with a sliding blog section, retina ready display, video integration, social media integration; JQuery enhanced, is responsive and is WPML Compatible. It is perfected with easy set-up and full-width display for images. 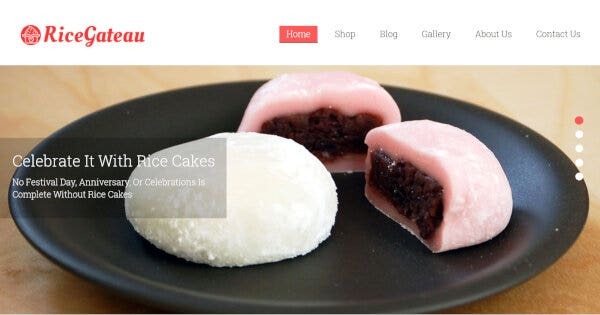 This WordPress theme is a unique choice for bakeries with zero to umpteen business experience. It concentrates on its display features with its multiple color schemes and eccentric layout. It is SEO optimized and provides a full feature of your bakery or café with its menu management feature.